Photos courtesy of Vail Resorts Management Company. 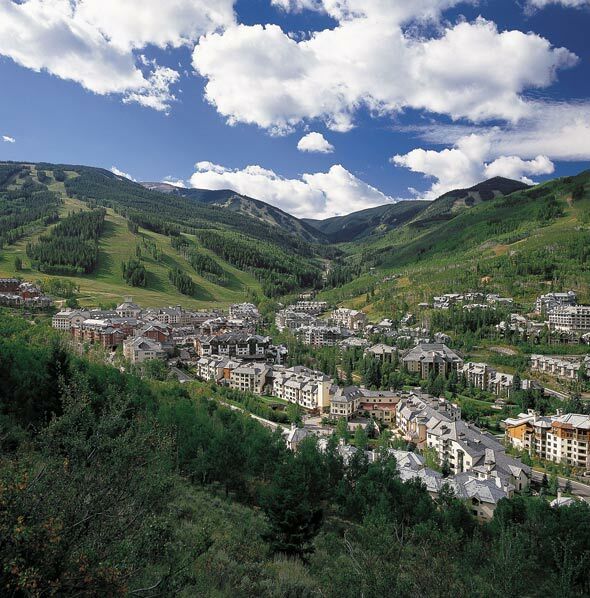 A two-hour flight from Sacramento International to Denver International Airport, a car ride on I-70, and before you know it you will be welcomed by pristine beauty in the area known as Beaver Creek, neighbor to the chic ski city of Vail. If you’re a lover of Tahoe, then the grandeur of Beaver Creek will top your list of places to visit soon. With an unrivaled list of year-round activities to keep the adventurous spirit busy any time is a good time to visit the Vail Valley. I was lucky enough to explore the mountain oasis this past spring and came home with a greater appreciation of warm-weather mountain life as well as a list of must-sees and must-dos. With a chic, modern European feel, the Kessler Collection Beaver Creek Lodge welcomes adventurists and leisurists alike with warmness and luxury at every turn. This AAA Four-Diamond property – and Beaver Creek’s only all-suite boutique hotel – is nestled in an alpine village (sitting at 8,100 feet elevation) and offers easy access to a plethora of activities, eating and shopping (beavercreeklodge.net). If you stay here, you won’t need to go far to find good food and the comforts of resort vacationing. If you want to get the full experience of the locale, I suggest Rocks Modern Grill’s Rocky Mountain Trout Almadine or the Elk NY Strip along with the infamous Kessler Calamari! With an average summer daytime temperature of 75 degrees, it’s open season on which outdoor adventure you want to experience first. In both spring and summer, visitors can enjoy scenic chairlift rides, hiking, mountain biking, horseback riding, whitewater rafting, fly-fishing and much more. On my two days, I enjoyed the following itinerary of activities. Head out for a scenic chairlift ride to experience panoramic views. Daily lift rides on the Centennial Express Chairlift will take place June 11 through September 5 from 9:30 a.m. to 4:30 p.m., weather permitting. Another fantastic and heart-racing way to take in the alpine air is a zip line ride. Zip Line Adventures in Colorado offer “high-flying” experiences on one of six different Colorado Zip Lines that cross a bountiful Colorado mountain river for added excitement. There are lines that take you 200 feet above the river, and the longest over 1,000 feet (zipadventures.com). If staying on land suits you better, take a jeep excursion. The High Mountain Adventure Tours are a unique way to explore the natural elements in customized, canopied jeeps with elevated seating; the two-hour tour includes a picnic lunch! For a little culture at high altitudes, the area boasts the 530-seat theater at Vilar Performing Arts Center. See world-class entertainment, comedy reviews, dance performances, foreign films or even a Broadway musical (vilarpac.org). In August every year, don’t miss the Arts Festival for fine art sales, food, wine and culinary demonstrations. For a great family night out meeting the locals, put your boots on and grab your cowbell for Rodeo Night every Thursday. The season starts around the end of June and runs through August; a free shuttle is available from Beaver Creek Lodge. For a little adult fun on another night, cab it to Ból Vail for some swanky, uptown bowling fun. Not only can you bowl in style amidst modern décor and comfy sleek couches, but you can also be wined and dined with a full bar and gourmet menu. You won’t find any greasy nachos here. The next day, take a leisurely stroll at Minturn Farmer’s Market just minutes away to get goodies to either bring home, or to stock up for…an extended stay!